Afternoon Tea in my house with delicous scones, cakes and muffins in aid of Depaul. Suggested donation €5, but only if you can. 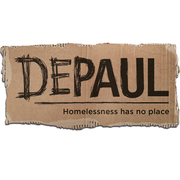 Let's break out the fine bone china and have a good natter over a cuppa!Depaul is a charity helping some of the most marginalised individuals, couples and families experiencing homelessness.